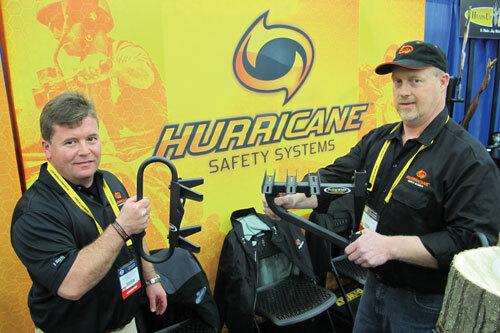 An exciting new Louisville venue that drew 531 exhibitors and 2,988 dealers, distributors and buyers was just one of the storylines of the 2013 ATA Trade Show, held Jan. 7-9 at the Kentucky Exposition Center. 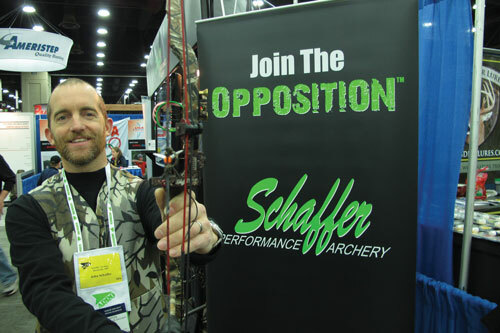 Nice touches to the 2013 Show included BowTech’s third straight year of introducing its new flagship bow (the Experience) to a strong crowd at the BowTech booth on the first morning, as well as the first annual V.I.P. (Very Innovative Products) ATA Runway Show at the Robinson Outdoor Products booth—a fashion runway featuring outdoor celebs modeling hunting gear and product on a dedicated red carpet stage. Still another nice touch was a centralized, easy-access New Products area located in the virtual center of the show floor. The next ATA Trade Show will be held in Nashville, TN, Jan. 6-8, 2014. The Burt Coyote company’s Eric Price, center, presents a check for $11,732.50 to Mary Hale (left) of the Pink Arrow Project, which aims to cure cancer, while TV personality Nicole Reeve looks on. 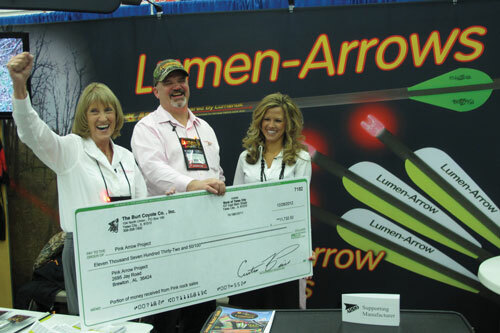 The donation represents a portion of the sales of pink Lumenok sales in 2012. 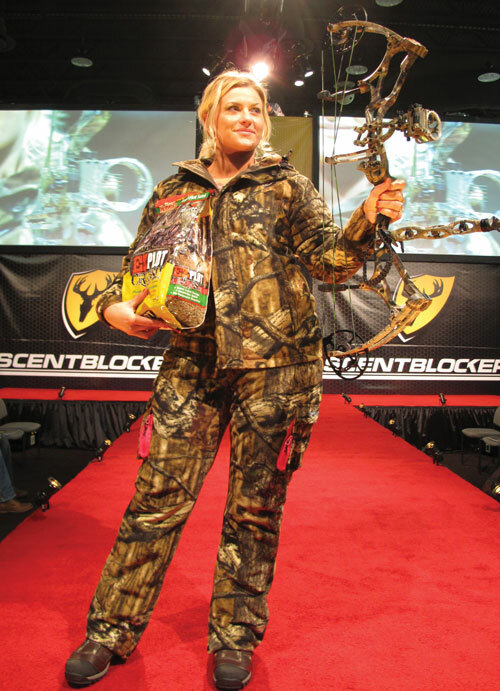 A model shows off several archery products as part of the Robinson Outdoor Products 1st Annual “Very Important Products” ATA Runway Show that was part of the expansive Robinson booth. The three entertaining shows included appearances by several industry celebrities who showed off products that included the new Robinson Trinity odor-eliminating technology. 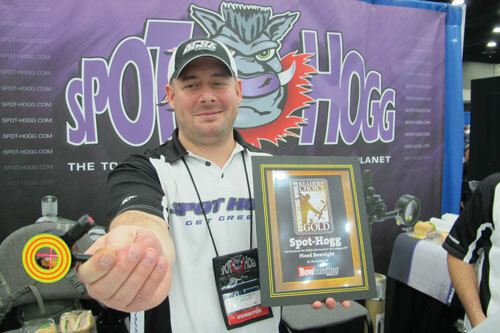 John Schaffer upgraded his unique Opposition Lite rest for 2013 by including internal dampers designed to make it the most-silent fall-away on the market.